Credit card debt settlement is the process of negotiating with the credit card companies to reduce the amount of debt owed in return for a lump sum payment. However, credit card debt settlement is not for everyone. As a matter of fact, most creditors will only agree to negotiate with you if you are several months behind on your payments. If you are current on your credit card payments, you shouldn’t waste your time trying to negotiate with your creditors as there is no reason for them to listen to you. If you believe debt settlement might work for you, it’s important to learn the basics. That way, you’ll be in a position to make an informed financial decision. Debt settlement is often confused with debt consolidation. The former means negotiating with your creditors to reduce the total amount of your debt you. In contrast, debt consolidation means combining all your debts into one loan. While debt settlement will reduce your total debt significantly, debt consolidation won’t. It just moves your debts from one set of creditors to another. The decision to choose debt settlement or debt consolidation will depend on your specific needs. Many people who choose debt settlement go through a debt settlement company to negotiate with your creditors on your behalf. Although you can personally negotiate with your creditors, it is better for most people to use a debt settlement company because it will have professionals who’ve been negotiating with credit card and personal loan companies for many years. If you choose a debt settlement company to negotiate on your behalf, you will be assigned a debt counselor. The counselor will help you develop a debt settlement plan. In most cases, the counselor will suggest you stop making payments to your credit card companies and instead make payments to a trust account that is set up by the debt settlement company. That money will later be used to pay for the settlements the company negotiates on your behalf. Since you’re already late on your credit card payments, ceasing to make them shouldn’t create much of a problem. Some credit counselors will only begin negotiating with your creditors after you’ve accumulated enough money to pay the settlements. If you want to get out of debt as soon as possible, you will need to increase your payments to the trust account. The debt settlement company will charge you a fee for its services. Some companies will also charge you a percentage of the settlement amount or a percentage of the money that was written off by the credit card company. It’s important to understand the company’s fee structure before contracting with it to settle your debts. Although debt settlement can help you get out of debt, it does have some drawbacks. When you fall behind on your credit card payments or stop making payments to the credit card company, your credit score will be adversely affected. It would be advisable to first ask yourself whether debt settlement suits your needs. If you are current on all your loan payments and you only want to make one monthly payment instead of several you’re making now, debt consolidation might be a better choice. 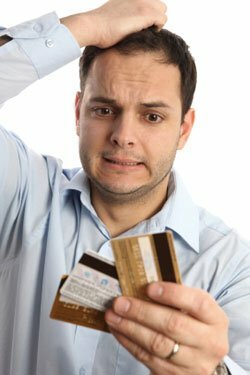 The main advantage of credit card debt settlement is that you will pay a smaller amount than what you owed your creditors. Once your debts have been cleared, you will have a better, debt free life.